This is the fifth Richard Hannay book and the last in what is really not so much a series as five individual adventures not directly interconnected. In other words, you can read them as you find them, or begin at the beginning with THE 39 STEPS. It all depends on how strict you are about these things. Might as well state that I am a very enthusiastic John Buchan fan-girl (perhaps some of you already knew that) and simply cannot control my zeal for his work even if I know, intellectually, that many of his views are not politically correct seen from the perch of today. Loving Buchan's work, anachronisms and all, I cannot be sensible about his faults. The truth of it is, that despite being a brilliant thriller writer with an extraordinary sense of color, setting and mood, he was a creature of his upbringing and class. (Certainly, not shocking that this would be so.) There is the implied 'class will tell' motif and stalwart white man stuff, but that's not that unusual, I think. for this time. The heroes in Hannay's world were, in general, of a certain class and kept to the 'sporting' code of that class. They fought, when necessary, as soldiers, convinced of their superiority, did their best for King and country, and behaved with gallantry towards women. Bound by honor, once they gave their word there was no turning back. In other words, they were of a type with the flaws and strengths of that 'type.' 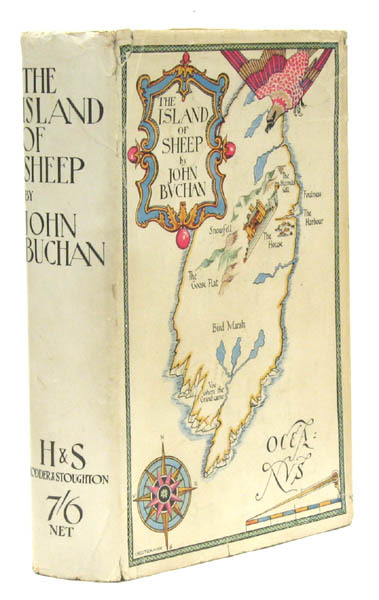 If you do not enjoy their company, then do not read John Buchan - but then you would be missing out on some thrilling (if not occasionally poetic) adventures. 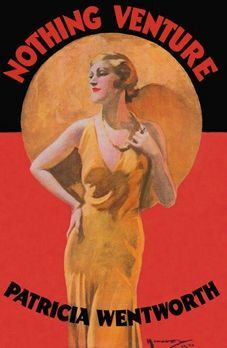 Buchan was born in Scotland in 1875 and died in 1940. He was not only a wonderful and prolific story-teller but a life-long public servant (1st Baron Tweedsmuir) who became Governor-General of Canada. Obviously Buchan lived through Great Britain's age of dominion and colonialism, enthusiastically so. But he also lived to see that dominion drawing to a close with WWI and knew, at the end of his life, that a second world war was on England's doorstep. My favorite John Buchan books are the Hannay series and the Dickson McCunn books, most especially HUNTINGTOWER, a charmingly told, warm-hearted, beautifully put together adventure tale which I've read several times, always with the same enthusiastic sense of wonder and astonishment. 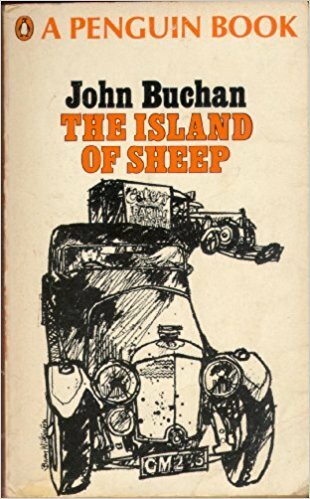 Buchan's inventive story-telling genius is, to my mind, unequaled as is his gift for scene setting and mood. In THE ISLAND OF SHEEP, Hannay is retired and living a quiet, idyllic life (though he suspects he may be getting decrepit) in the English countryside with his wife and adolescent son, a budding falconer. (There are bits of arcane knowledge about falcons and hawks peppered throughout at the beginning of the tale.) But as so often happens to men who have had all encompassing histories of overseas service and its attendant derring-do, people pop up out of the past now and then seeking Hannay out for advice and/or help, usually of a clandestine nature. And of course, there are always old friends and acquaintances from days gone by - memories and stories to share. This book has everything one could wish for in a Buchan story. 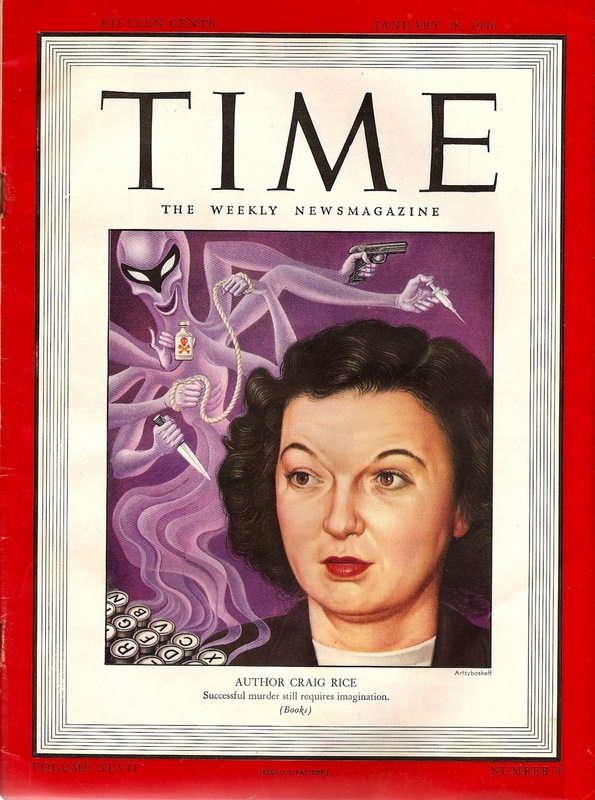 The author has the knack of stopping forward motion by having characters tell tales which become relevant to the current plot as we move along. Some may frown on this sort of thing, but in Buchan's hands, it makes for marvelous diversion - the stories are always of the thrilling sort and we understand that Buchan is not wasting our time but getting us in the mood. It is a tale out of the past which sets the ball rolling in THE ISLAND OF SHEEP: a nearly forgotten oath of honor inspired by the sorts of physically rigorous crisis that characters of a certain stamp always seem to stumble into in books - this one having to do with a deadly feud involving some very bad men, a Norwegian treasure hunter named Haraladsen and a fight to the death in the South African bush. That long ago oath pulls Hannay into yet another life or death adventure. This time out it will also involve his fourteen year old son, Peter John, an intelligent, intuitive boy, keen on bird lore and as I mentioned, a budding falconer. Back to the plot: The treasure hunter's grown son, Valdemar Haraldsen, has turned up in England in desperate need of Hannay's help - he is being tormented by some thugs with a murderous grudge against his late father. Hannay, with the help of two long time friends, the resourceful and quick-witted Sandy Arbuthnot, Lord Clanroyden and Peter Lombard, now a plump, successful businessman rather than a man of action but willing to do his part, are drawn into a dangerous struggle to keep Haraldsen and his young daughter Anna from being destroyed by this vendetta from the past. My kind of story. 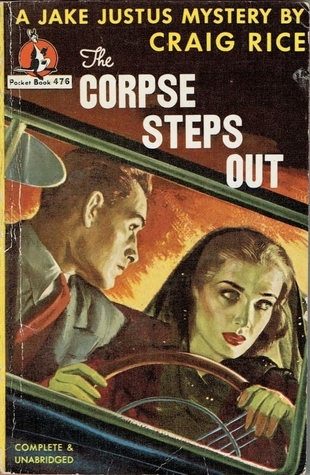 Especially when it involves a fantastic car chase along back roads in the English countryside, a hairbreadth escape in the dead of night, the Scottish highlands, travel to an island in Norwegian waters, colorful customs and lore, impersonations, youthful derring-do and near the end, enraged villagers brandishing knives. Ah, the good old days. At first I wasn't sure I'd enjoy this Hannay thriller as much as I had Buchan's earlier books, but I did. It's a wonderful tale. I am so enamored of well written stories where friends band together to do the right thing come hell or high water. 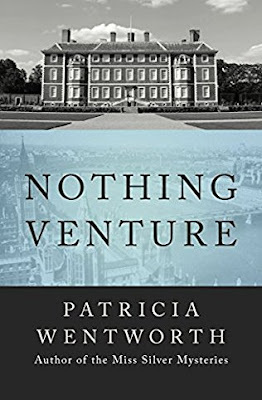 And since this is Friday once again, don't forget to check in at author Patricia Abbott's blog, Pattinase, to see what other forgotten or overlooked books other bloggers are talking about today. My email account been down for some time while, behind the scenes, I tried to cope. So if you've emailed me and haven't gotten a response, that's why. At the moment, I can't receive or (naturally enough) respond to emails. I have a temporary yahoo email account but don't want to use it for the blog - at least not until all hope is lost. At some point my daughter (when she gets a free moment or two) will have to straighten it out. But for now, it's kaput.